Sightpath can help you create the patient interactions that energize a referral network and drive procedure volume. Our award-winning designers, writers, and marketing professionals have experience in the ophthalmic industry and knowledge of market trends. This enables us to provide effective practice development tools and resources in a variety of formats, including print, digital and patient education. Whether you are in need of supplemental marketing assistance or a more comprehensive solution, services from Sightpath Creative are a cost-effective way to grow your practice. The Sightpath Creative Complete plan is our most comprehensive level of service, featuring 12 months of marketing support from our award-winning team of strategists, writers and designers. Your deliverables will include planning and training documents, creative materials, comprehensive social media support, and more. Your dedicated marketing professional will work closely with your practice to determine opportunities and execute a personalized plan to maximize brand awareness and increase procedure volume. The Sightpath Creative Concise program is ideal for those looking to take their current marketing efforts to the next level. Our dedicated marketing professionals will work in cooperation with your marketing team to provide two quarterly campaigns including creative materials in a variety of mediums. This plan also includes six months of ongoing marketing support, as well as reporting and social media support for the whole year. The Sightpath Creative Target program is designed to provide a one-time burst of practice marketing activity. Our team can help coordinate your collateral or advertising, launch a new product, promote a unique milestone or special event, or create a specialty campaign. Sightpath Creative Target is perfect for those looking to supplement their current marketing efforts, freshen up their brand or try out our program. Regardless of which plan you select, you may choose from these additional programs to supplement your current efforts and increase your reach. Pricing based on project scope. Call for details. The Sightpath Creative Team is always dreaming up new and creative ways to help customers promote their practice. Our Featured Campaigns include limited-time, semi-customized marketing materials focused on a trending techniques, new technologies or timely opportunities. How much do you understand your market? A market study will help you understand your patient population, identify competitors and determine who the optometrists are in your area. Practices who invest in this service are intrigued by the results. 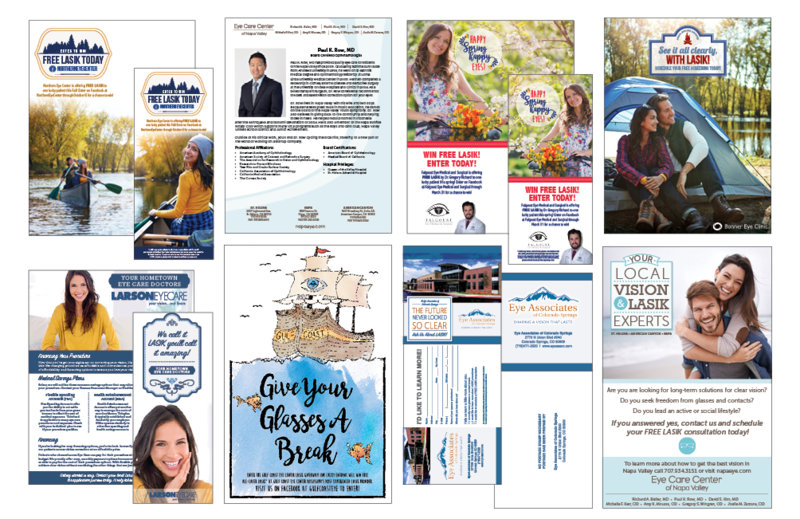 In this campaign, Sightpath Creative will provide you with a procedure number worksheet, a list of the ophthalmologists and optometrists within 25 miles of your practice and a summary that includes what to consider for a marketing plan and marketing ideas to get you started. Facebook contests are one way ophthalmologists can engage their audience and increase brand awareness. During these contests, practices discount LASIK for one lucky winner. Sightpath Creative will help your practice run a Facebook contest from start to finish with high quality digital content and social media management. These contests encourage prospective patients to share practice information on their Facebook wall and engage with the practice’s social media. Facebook contests also generate leads and improve practice visibility in the local community. A strong relationship between you and local optometrists is essential to the growth of your practice. What are some ways in which you can strengthen your current relationships, build new ones and ultimately increase your referral rate? Sightpath Creative’s OD Networking Campaign is designed to help you build and strengthen relationships with local optometrists. We provide you with a variety of print and digital materials to boost your practice visibility and increase optometric referrals. These materials include a general practice brochure, treatment inserts, surgeon biographies, lead cards, referral pads and customized quarterly newsletters. When patients enter your practice, what do they see? Do they see blank walls and blank counters, or are there posters, brochures and counter cards to help them make an informed decision about your services and their options? Sightpath Creative’s Patient Education Campaign provides practices with numerous print materials designed to educate patients and increase conversion rates. Each piece is customized to showcase your practice, highlight your expertise and promote your unique selling proposition. Sightpath Medical provides you with key tools used to build relationships and educate patients. Over the last few years, Sightpath Creative has been contacted by numerous practices who wish to increase their patient volume but aren’t sure how. Some practices have difficulties meeting their minimums, whereas others are simply interested in expanding their patient pool. In this case study, we will outline how we use social media – specifically Facebook contests – to increase practice visibility, foster patient engagement and bring in new customers. Facebook contests are one way in which ophthalmologists can engage their audience and increase brand awareness. During these contests, practices heavily discount – or completely cover – LASIK procedures for one lucky winner. Contests like this encourage prospective patients to share news about the contest on their Facebook wall, discuss the practice with their friends and engage with the practice’s social media. Facebook contests also allow practices to acquire the contact information of potential leads so that they may follow up with them at a later date. Unfortunately, running a Facebook contest is time-intensive and requires a strong understanding of social media trends. Here at Sightpath, we create and manage Facebook contests from start to finish so that ophthalmologists can focus on what they do best – providing quality care for patients. Customized campaign materials including posters, counter cards, inserts and more. Digital entry forms that allow patients to enter the contest regardless of whether they are using a desktop, a tablet or a mobile device. Branded posts and content designed to promote the contest. Two follow-up emails to help maintain engagement with non-winners. An optional (additional cost) email push to a database of people aged 24-45, with an average annual household income of $80k+ and vision insurance. Facebook contests are an excellent way to increase patient engagement and bring in new patients. An increase in Facebook community response and engagement. An average of 50 new practice leads. A 33 percent open rate on follow-up engagement emails to non-winners (compared to industry average of 19 percent). Advertisements that reach an average of 3,500 people with a 10 percent engagement rate. Although we’ll take care of all the creative work for you, we’ve found that practices who remain engaged and enthusiastic about the contest tend to receive the greatest number of leads. We stay in regular contact with all of our clients to make sure we’re providing a marketing campaign that is perfectly tailored to their practice. They were in the process of changing the practice name. This rebranding process meant that they needed to change their marketing materials and effectively start fresh. They also needed to make sure they didn’t lose any of their current patients. Their marketing materials were out of date. Not only did they need to change the name of the practice, but they also needed to update the staff list and alter their list of offered services. They wanted to begin offering LASIK and laser-assisted cataract surgery, but were unsure of the potential for volume growth or if their market would be able to support these new procedures. To tackle these issues, Sightpath Creative developed a variety of patient education tools and practice outreach materials. We completed a thorough market analysis of all the counties within the practice’s region. This included “secret shopping” their referring OD list to see how frequently they were being recommended to patients. We also completed best estimates of patient volume for traditional cataract surgery, laser-assisted cataract surgery and refractive procedures. We developed a comprehensive, full-year marketing plan focusing on the initial roll-out and high-value deliverables. We broke each part of our plan into phases to ensure efficient execution. We established brand standards, or a consistent, polished look for each marketing material. We applied these brand standards to print, digital and social venues. Together with the practice, Sightpath Creative successfully designed a marketing plan from the ground up. Our comprehensive suite of customized marketing and patient education materials has both informed current patients and brought in new ones. We created a strong social media presence from the ground up. We helped them identity which ODs are more likely to send referrals their way. We also provided strategies to reach new ODs and strengthen their current OD relationships. Sightpath Creative was approached by a small practice in western Kansas who wanted to strengthen their relationship with local ophthalmologists. The practice was not satisfied with their current refractive numbers and hoped that by co-partnering with local ODs, they could acquire more referrals. Sightpath Creative took numerous steps to boost the practice’s relationship with local ODs. Every other month, our award-winning marketing team crafted a digital newsletter filled with practice updates, industry news and staff spotlights. We then sent this newsletter to the practice’s OD network and saw an average open rate of 56% on an industry standard of 22%. <li”>We helped the practice host OD events centered around various topics including oculoplastics, glaucoma treatment and new technologies. We conducted several optometrist surveys so that they could learn more about their referring physicians interest in continuing education events and receive feedback about the practice. Local optometrists are now regularly informed of new technology and services that the practice provides, as well as events and promotional activities. Because of this, the practice’s relationship with local ODs has flourished. Since we began working with the practice in 2014, their referral rate has steadily increased. Sightpath Creative was contacted by a small ophthalmic practice in Northern Minnesota that wanted to grow their patient volume. Although the practice has offered LASIK for over 15 years, it seemed as though few people knew about it. Potential patients were regularly driving to a competitor over 75 miles instead of staying local. To improve practice visibility and increase patient volume, Sightpath Creative focused on practice branding and development. Our award-winning design team created numerous patient education materials including brochures, counter cards, flyers, lead cards, postcards, posters and surgeon biographies. We ran their Facebook page and provided reputation management by working through Yelp, Healthgrades, Google and LinkedIn. We also managed the content of their website. Because of our efforts, the practice received over 300 likes on Facebook, numerous 5 star reviews, and has improved their SEO. We created and managed ads for the local newspaper as well as digital ads on Google, Facebook, Instragram and YouTube. The practice received over 14,000 impressions from these ads. We designed and moderated three Facebook contests with the aim of increasing digital visibility for the practice. These contests generated over 100 new leads. Perhaps most importantly, we maintained regular contact with the practice, using their unique insights to maximize the effect of our marketing efforts. After just one year of working with Sightpath Creative, the practice’s total case volume climbed 16 percent. After the second year, the practice’s case volume nearly doubled. In the end, working with Sightpath Creative resulted in improved visibility for the practice. Instead of traveling out of town, local patients flocked to the clinic for LASIK. All Sightpath Creative materials are created and fully customized by our award-winning designers. We use industry best practices and the knowledge gained from more than two decades of providing practice development support to promote your practice. Our Sightpath Creative staff is pleased to discuss your needs and all the ways we can help your build your practice. We admit it — free patient materials are enticing. Who wouldn’t want to fill up their waiting room with free posters, patient handouts, and brochures? But are these materials actually a good idea? No fooling here! 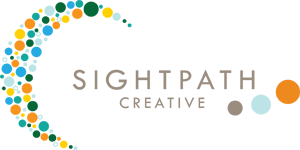 April 1st kicks off National Public Health Week, and Sightpath Medical is excited to join in on the conversation. We’d love to talk about what your practice is doing and how we could help.